WOW!!! You will be in AWE when you walk into this beautiful POOL home with a LAKE view in desirable Lake Mary!!! This STUNNING home is zoned for TOP-RATED Seminole County Schools and has been COMPLETELY remodeled!! With 2 bedrooms and 2.5 baths and more than 1400 sq feet, this home is a perfect starter home with room to grow! 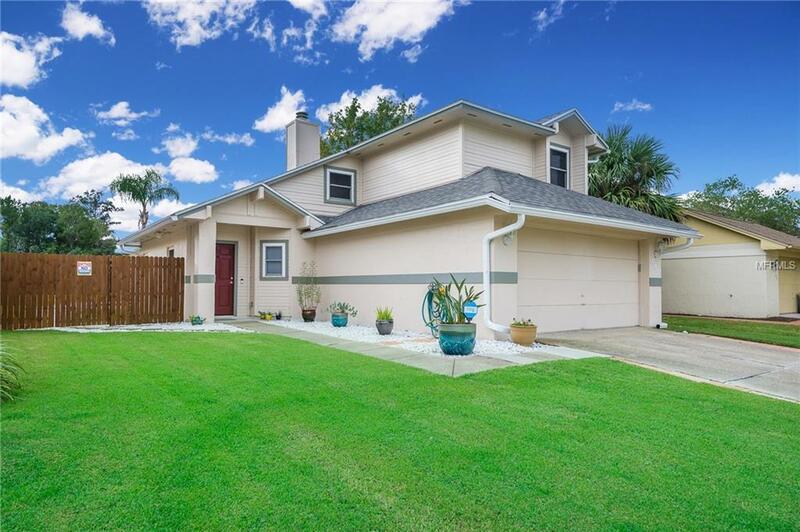 New updates include an architectural shingle style roof, 6' gutters, newer pool tile, pump and filter as well as an irrigation system with zoysia grass and a custom yard drainage system! Plus, you will enjoy entertaining by the pool all while overlooking your private gated lakefront access! Your own peaceful oasis in the heart of Central Florida!! The inside features upgraded interior doors, LED interior lightning, wood tile flooring, upgraded baseboards and new carpet in the bedrooms! And, don't forget about the beautiful wood burning fireplace! The gorgeous Master bath has been updated with a custom concrete countertop and an updated walk in shower!! The Bright and light Kitchen boasts new cabinets and stainless steel appliances! Other updated features include all ceiling fans and custom cordless window blinds!! Plus the seller is offering a ONE YEAR HOME WARRANTY!! This home definitely has the WOW factor and shows like a model beachfront home and could be YOURS!! Schedule your showing TODAY as this home won't last long!! !